We have all been there – decisions, decisions. Choosing the right type of printer, either for home or work, has never been a walk in the park. One tricky part of buying a printer is undoubtedly deciding whether to get a laser printer or an inkjet printer. And for good reason. The two types of printers employ different approaches, with each suitable for different printing needs. As you might expect, each printing technology has its own pros and cons. But when it comes to buying a printer, the cost -both initial and ongoing – is paramount. Which begs the question: which is cost-effective, an inkjet printer or a laser printer? This blog post looks to give you a succinct guide on the pricing of both laser and inkjet printers. It will look at the initial price tag as well as the cost in the long haul. Read on; you will be glad you did. But first, let’s delve into a few rudiments. What are Inkjet and Laser Printing? Back in 1969, a luminary Xerox worker named Gary Starkweather had an ingenious idea that marked the birth of laser printing. Simply put, Laser printers render a digital image by scanning a laser beam across photoreceptors. In essence, a laser printer utilizes a toner cartridge and a thermal fuse. On its part, inkjet printers do the same by spraying liquid ink through a raft of minute nozzles onto the paper. 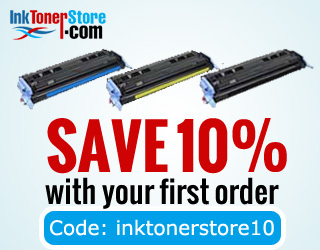 I’ll admit right from the outset that you can garner a basic inkjet or laser printer for practically the same price tag. Quite unexpected, right? If you are looking for a basic printer that can print as well scan and photocopy, there is simply not much difference in pricing. There’s little or no difference in the prices of a budget all-in-one printer like Dell 1133 and Canon MX350. What’s the most noticeable difference? A budget laser printer is only capable of churning out black and white prints. Conversely, an inkjet version can print color documents. If you crunch numbers, a laser printer is a little more expensive. You can garner a basic laser printer for something like $130. An inkjet alternative will set you back around 65 bucks. There is a catch, though: they typically come complete with a starter cartridge that is almost spent, implying that a refill is inevitable. With time, printers require consumables like toner, ink, and paper. You can quote the running cost of a printer using a standard cent per A4 page. A budget laser printer capable of producing only black and white documents has an average cost per page of around 6 cents/page. But the rate drops drastically if you go for a higher price tag. An inkjet printer typically rakes around 20 cents/page for both color and black & white prints. For black and white pages, the cost drops to around 7 or 8 cents/page. What’s more, laser printers have extra maintenance costs if pit against inkjet printers. You will require regular replacement of components like fuser cartridge. Pound for pound, inkjet printers are more economical than laser printers for low-turn printing. In case you do large printing, you’d be better of with a laser printer.